A very kindly chap by the name of Jerzy sent me a swathe of scans of old German documents, to help out with my family history research. 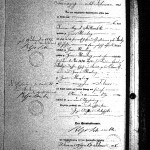 Most are from the Pommerzig and Groß Blumberg Zivilstandsregister 1874-1937, plus there’s a few older documents as well. 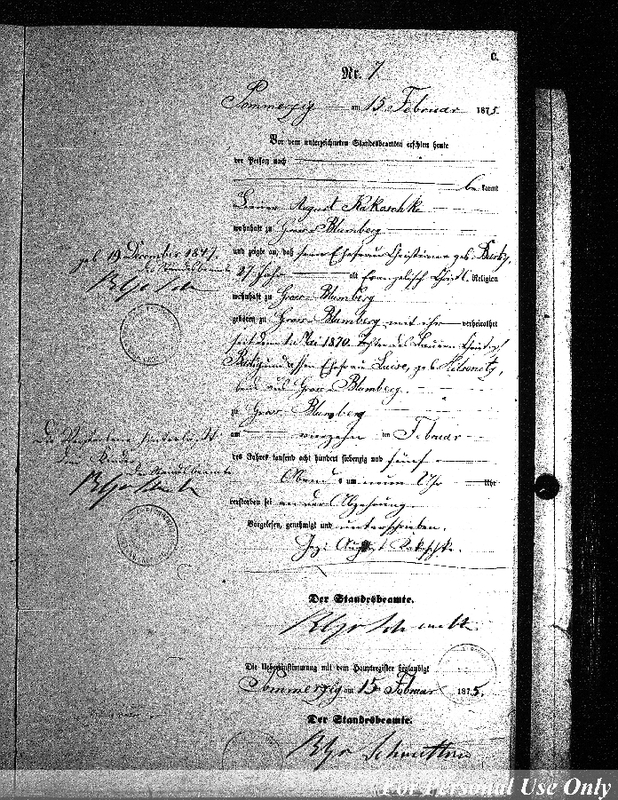 Jerzy sent scans of any pages he found that made reference to the names Kakoschke or Redlich. To help collaborate, just download the text file named 0_Transcriptions_Please_Read.rtf (it’s in the same folder as the scans), make any additions or corrections, then email the file to me and I’ll take care of the rest. Please always download the latest version of the file before you begin making changes. Also, send me your changes as soon as you’ve finished for the day, so that I can update the file promptly. Thanks!